Investigating crimes online is also part of the job. 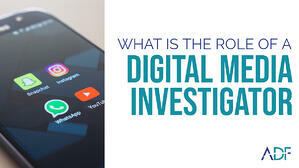 As part of the Digital Media Investigation Unit (DMIU), digital media investigators are now being employed to investigate online child sexual abuse cases. Not only do they seek out individuals who traffic in child exploitation (CE) or indecent images, but they also pursue individuals who view the images or seek to groom children using apps, social media or online interactions. Without a digital media investigator, bringing child predators to justice would be next to impossible, especially in an era where forensic backlogs are commonplace. The evidence DMIs gather can include phone records, payment transactions, computer documents, internet history, email, text, social media and much more. 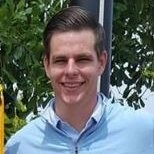 Digital media investigators can even use cell phones to document the location a suspect was in when they used social media. The evidence collected can be used in court to help prosecutors reach a conviction or by defense attorneys to prove a suspect's innocence. In addition to using the Internet, computers, tablets and cell phones to investigate crimes, these police investigators use the best of breed digital forensic software to solve crimes. They need to be well versed in the most advanced technology so that they can file reports and solve cases quickly. ADF offers digital forensic kits for digital media investigators that empower field and lab investigators.